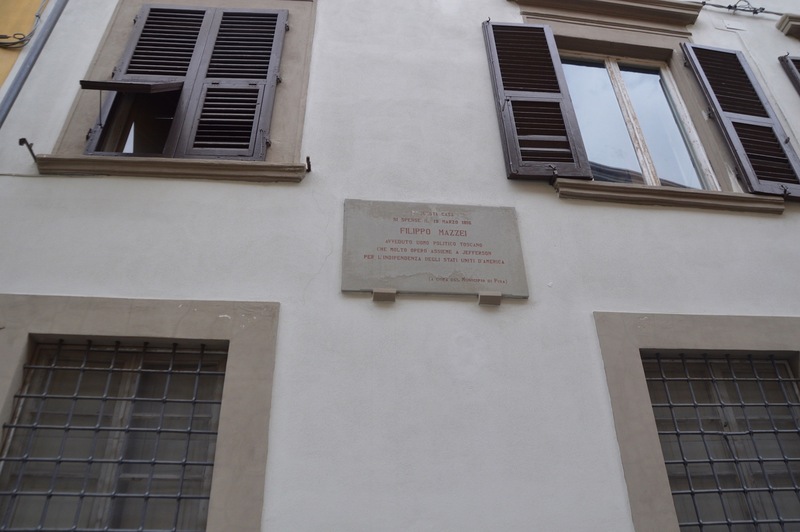 This is the house where Filippo Mazzei lived his last years; it is located in Pisa (via Giordano Bruno, 39). 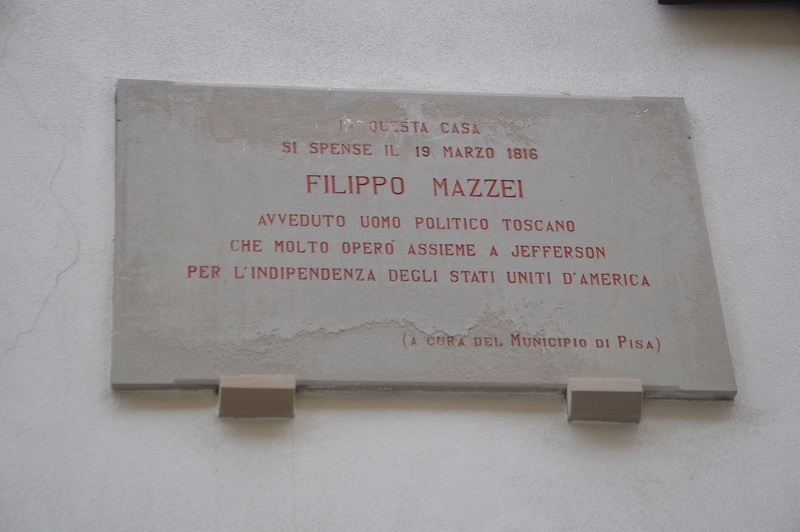 He was a politician and a diplomat, he settled in Pisa in 1792 and he followed closely the Tuscan political events through a cordial exchange of letters with a group of young liberals protagonists of the Pisan municipality. 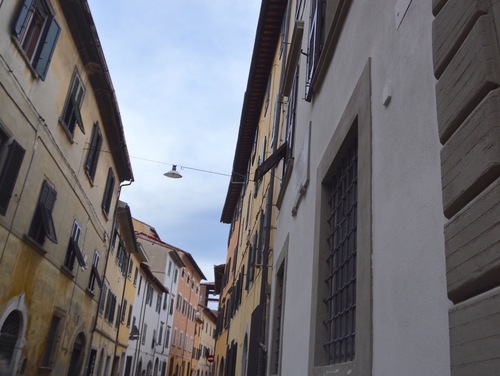 The municipality of Pisa decided to affix a tablet in his honor. Now it is a private house. He also was a habitual customer of the Pisan coffee house, Caffè dell'Ussero.